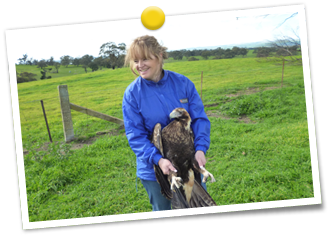 The SA Bird of Prey Rehabilitation Centre, a not-for-profit organisation is fully equipped with the necessary skills, knowledge and facilities to attend to the state’s sick and injured birds of prey. Rehabilitate and release birds back to their original territories where possible. The extent of injury or illness is assessed incorporating expert veterinary assistance as necessary. A realistic decision is made in regard to the future of the bird. An optimum course of treatment and rehabilitation is planned and implemented. Provide education and support for students and carers. Provide a service to the public when sick or injured birds are encountered.